What Is Electrical Conduit Directional Boring? Directional boring is a trenchless method of installing underground electrical lines along a predetermined bore path. The directional drilling system allows for the placement of underground pipes with minimal disturbance or disruption along the ground surface. 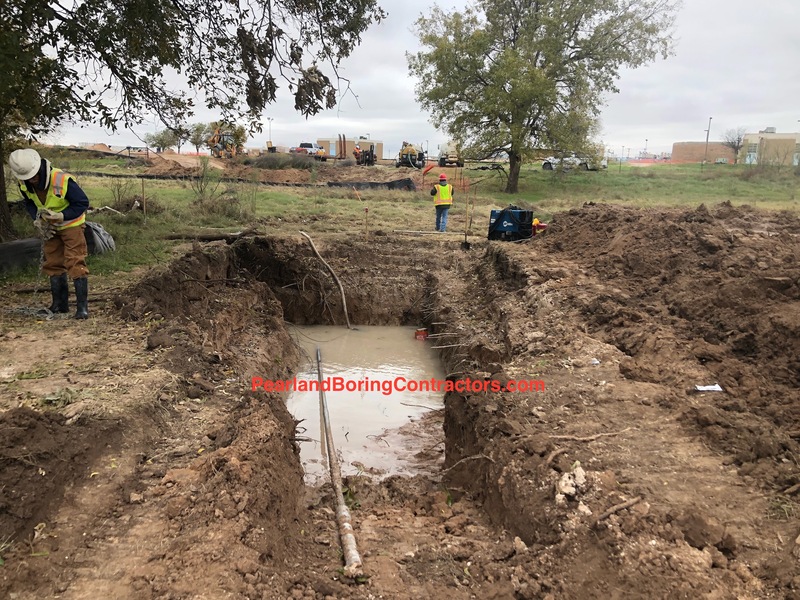 With electric line directional boring, obstacles like sidewalks, driveways, parking lots, roads and landscaping are easily bypassed reducing the direct and indirect costs of trenching conduit. Electric power transmission is the bulk movement of electrical energy from a generating site, such as a power plant, to an electrical substation. The interconnected lines, which facilitate this movement, are known as a transmission network. This is distinct from the local wiring between high-voltage substations and customers, which is typically referred to as electric power distribution. Electric power can also be transmitted by underground power cables instead of overhead power lines. Underground cables take up less right-of-way than overhead lines, have lower visibility, and are less affected by bad weather. However, costs of insulated cable and excavation are much higher than overhead construction. Faults in buried transmission lines take longer to locate and repair. Underground lines are strictly limited by their thermal capacity, which permits less overload or re-rating than overhead lines. Long underground AC cables have significant capacitance, which may reduce their ability to provide useful power to loads beyond 50 miles (80 kilometers). DC cables are not limited in length by their capacitance. From electric power plants, to substations, and even light poles on the streets, we bore electrical transmission and distribution lines underground in the safest and most cost effective ways possible. Electric power distribution is the final stage in the delivery of electric power; it carries electricity from the transmission system to individual consumers. Distribution substations connect to the transmission system and lower the transmission voltage to medium voltage with the use of transformers. Primary distribution lines carry this medium voltage power to distribution transformers located near the customers premises. Distribution transformers again lower the voltage to the utilization voltage used by lighting, industrial equipment or household appliances. Often several customers are supplied from one transformer through secondary distribution lines. Commercial and residential customers are connected to the secondary distribution lines through service drops. Customers demanding a much larger amount of power may be connected directly to the primary distribution level or the subtransmission level. From remote rural locations to busy downtown streets, our crews deliver underground electrical transmission and distribution conduit installation services in even the most challenging terrains and circumstances. We have bored for investor owned utilities, cooperatives, and municipalities in their smart grid, electrical substation, switchyard and electricity distribution systems in addition to boring for the renewable energy industry including, geothermal systems, solar ranches and wind farms. Water, dust, temperature extremes, high humidity, and vibration are just some of the items that jeopardize the electrical system. Dust combined with moisture or other airborne pollutants will coat conductor insulation, contact surfaces and enclosures. This coating acts as a blanket, reducing heat dissipation into the surroundings. Premature degradation of conductor insulation and nuisance tripping of thermal protective devices is the result. This coating also provides a conduction path for tracking and flashovers. Dirt can find its way into the operating mechanisms of the equipment, causing excessive wear and impeding its ability to operate. The grounding system is vital to the safe operation of your facility. The best way to quantify the ground resistance of your facility is to do a ground resistance test. To obtain accurate results, you must isolate the electrical system from the utility by physically disconnecting the grounded conductor at the service. This is typically not something you can do at most facilities. An alternate method is to use a clamp-on ground resistance meter. Be sure you are measuring the ground resistance and not the resistance of ground loops. 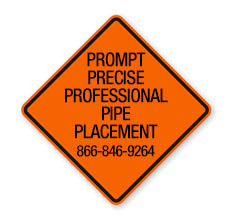 You should inspect and tighten ground connections at every location on an annual basis. We provide electrical line maintenance directional drilling services on an individual or system-wide basis for Pacific Gas & Electric, Southern California Edison, Florida Power & Light, Consolidated Edison, Georgia Power, Virginia Electric & Power, DTE Energy, Public Service Electric & Gas, Duke Energy Carolinas, Consumers Energy and American Electric Power (AEP) among others.